Cologne Cathedral (German: Kölner Dom, officially Hohe Domkirche St. Petrus, English: High Cathedral of St. Peter) is a Roman Catholic church in Cologne, Germany. It is the seat of the Archbishop of Cologne and the administration of the Archdiocese of Cologne. 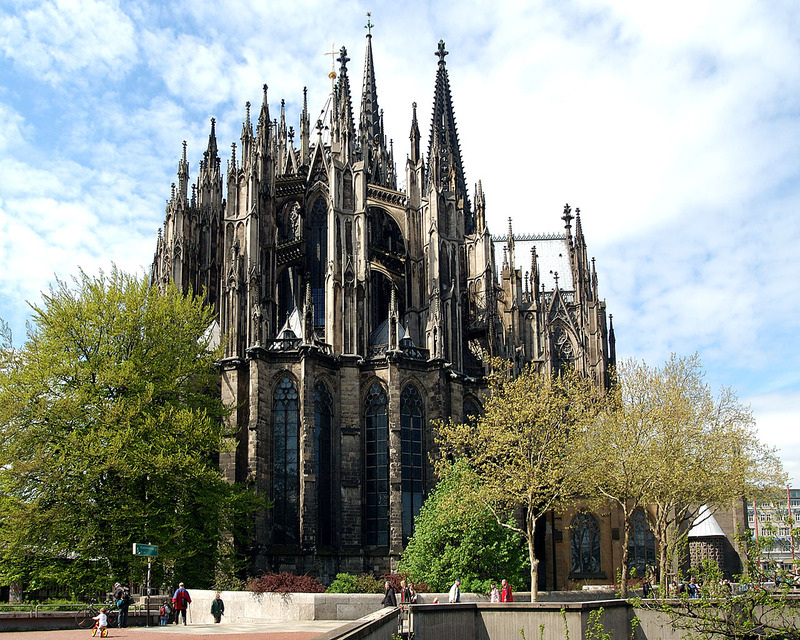 It is a renowned monument of German Catholicism and Gothic architecture and is a World Heritage Site. It is Germany’s most visited landmark, attracting an average of 20,000 people a day. 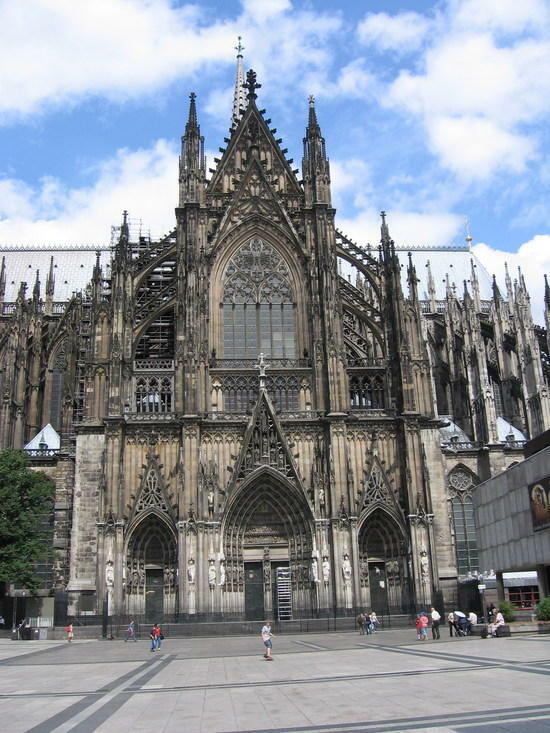 Construction of Cologne Cathedral commenced in 1248 and was halted in 1473, leaving it unfinished. Work restarted in the 19th century and was completed, to the original plan, in 1880. It is 144.5 metres (474 ft) long, 86.5 m (284 ft) wide and its towers are approximately 157 m (515 ft) tall. The cathedral is the largest Gothic church in Northern Europe and has the second-tallest spires and largest facade of any church in the world. The choir has the largest height to width ratio, 3.6:1, of any medieval church. 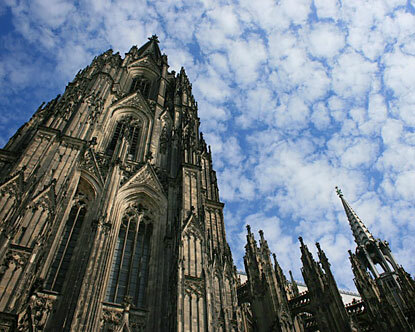 Cologne’s medieval builders had planned a grand structure to house the reliquary of the Three Kings and fit its role as a place of worship for the Holy Roman Emperor. 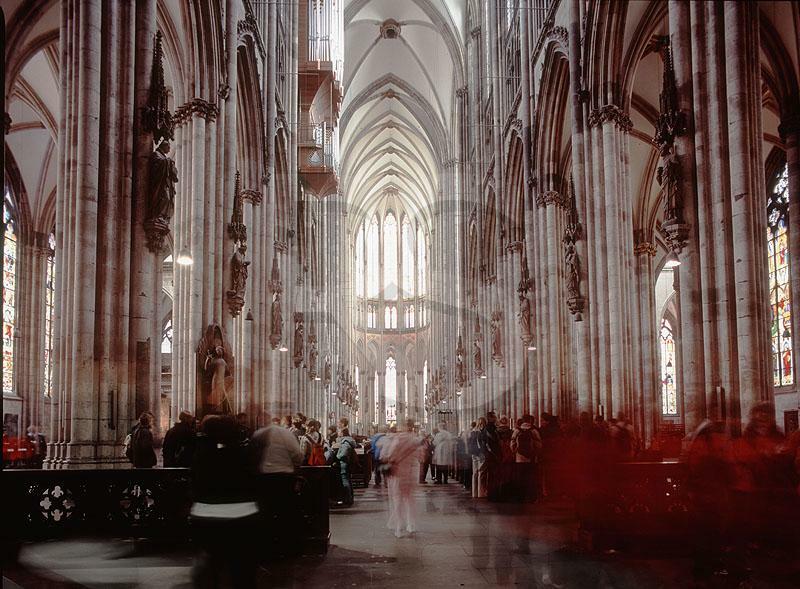 Despite having been left incomplete during the medieval period, Cologne Cathedral eventually became unified as “a masterpiece of exceptional intrinsic value” and “a powerful testimony to the strength and persistence of Christian belief in medieval and modern Europe“.